Disclosure: I am partnering with Oriental Trading for this post. No compensation was provided. All opinions are my own. This week I walked into work and one of my sweet kiddos had a beautiful gift for me. As a high school teacher, we rarely receive gifts of any sort. 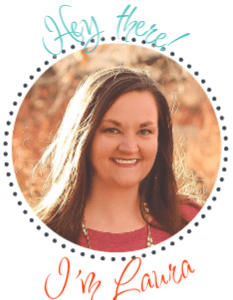 For me a handwritten note or an email is so meaningful, however, it is always a joy to receive an unexpected surprise and that is just what I plan to do for my children’s teachers this season! This year I want to share some holiday cheer with the entire staff at my children’s school. However, I have to stay on a budget and so I perused Oriental Trading’s website and found just the right items to make a rocking and budget friendly holiday gift! 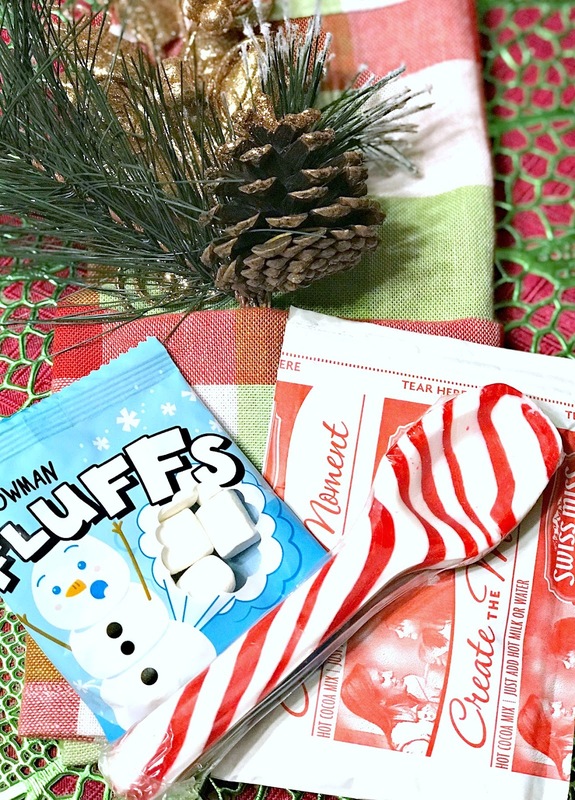 Everyone loves a little hot chocolate, and when I came across these awesome peppermint spoons, snowman fluff marshmallows and the amazing buffalo plaid to-go cups, I knew exactly what I was going to do. 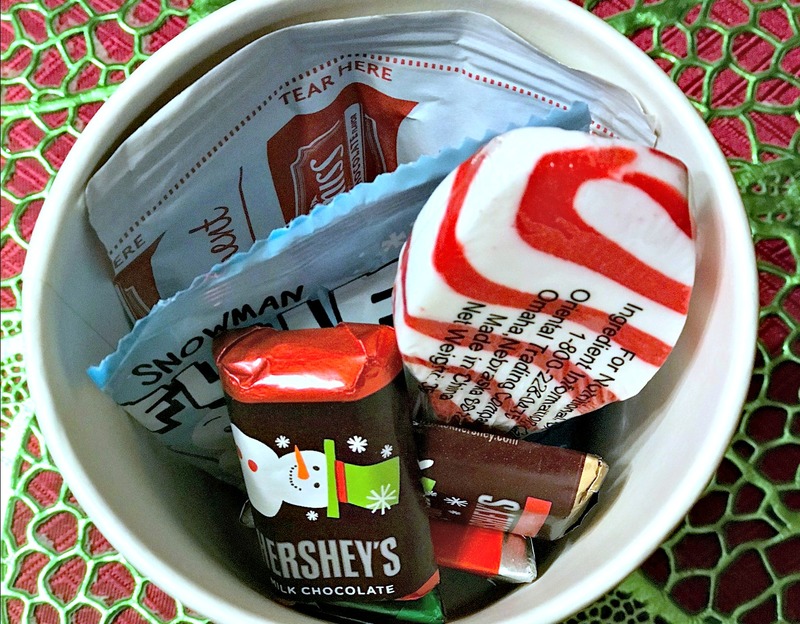 A little DIY hot chocolate to-go gift for all! I snagged it all up and then I decided that I needed to make a printable tag to go with these! You can print your tags here. 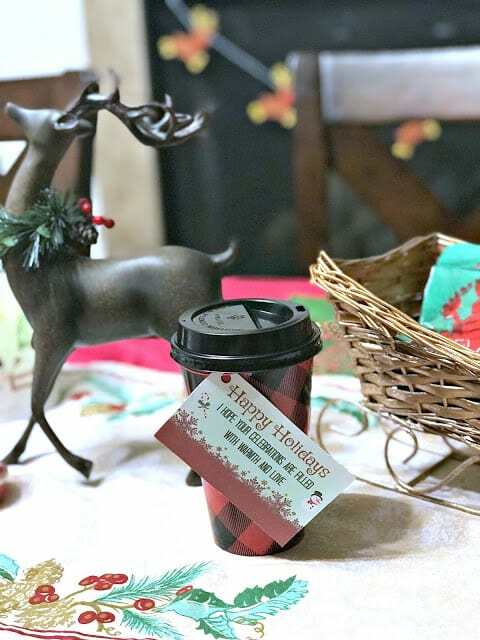 Spreading a little warmth and love through some hot chocolate fun is just what everyone needs and can enjoy! I fully believe in showing extreme gratitude to our educators and the support staff. Education is a hard job to be in, it is political, it is a mash up of a million different jobs and it can be very draining on a person. On our worst days, we question our choices but remind ourselves of how much we love what we do. On our best days we drink in the successes and tuck those memories away. I know that as a teacher, receiving a gift like this would really make my day. Something easy that I can make at work and enjoy as I am teaching or something that I can take home and make while I grade papers. I really hope the educators and support staff in my children’s life feel the same way! The hot chocolate to-go cup is easy to put together. Simply, just add a package of hot chocolate mix, snowman fluff marshmallows, a peppermint spoon and if you want a few pieces of chocolate too! Then tie the gift tag and add the lid! Super easy and cute too! 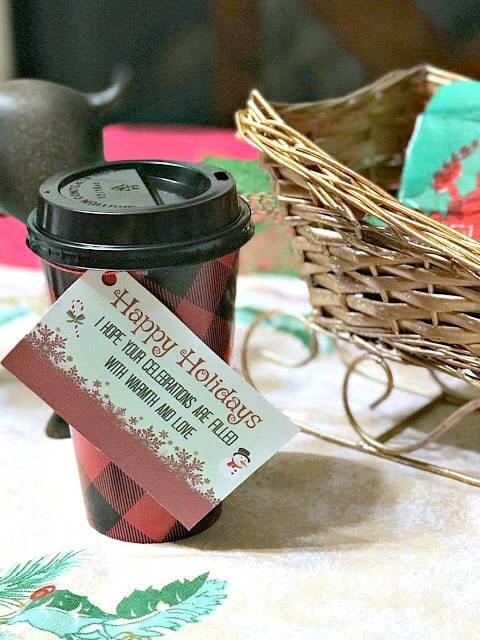 This is a great gift for anyone in your life, and is so budget friendly. Oriental Trading always has the best items from home decor, to party, to DIY and even awesome family game night items like Qwirkle (this tactical game is super fun and easy to play and a great addition to any holiday celebration)! I cannot wait to spread the holiday cheer with the educators and support staff at my children’s schools! 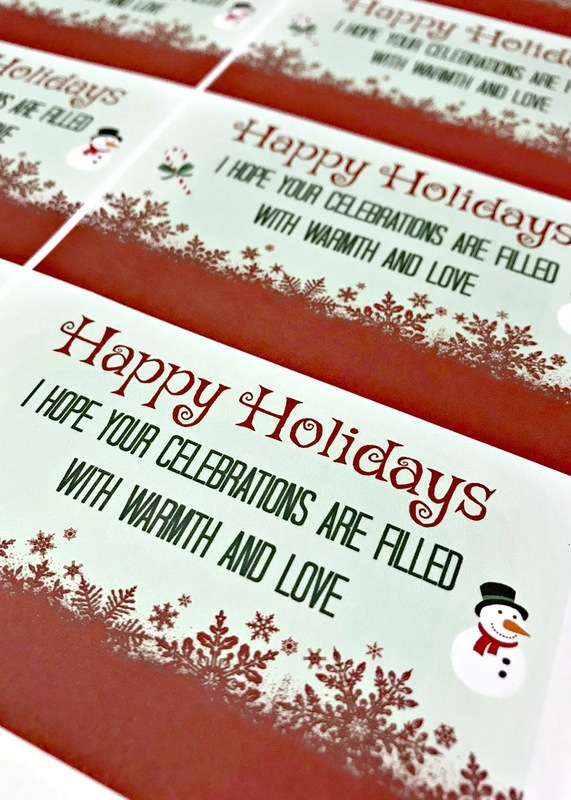 Grab the printable, place your order from Oriental Trading and spread that warmth and cheer!